Bio: Norma Holmes was born in Carmel, California. She studied at the Academy of Art in San Francisco and the University of California at Santa Cruz. She has taken workshops with Doug Dawson, Valoy Eaton, Kim English, Bob Gerbracht, Del Gish, Daniel Green, Lois Griffel, Albert Handel, Margaret Kessler, Joyce Pike, Camille Przewodek, Susan Sarback and Vladen Stiha. 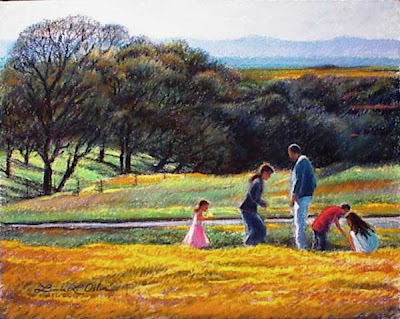 Norma’s work has won many awards in national and international exhibits. 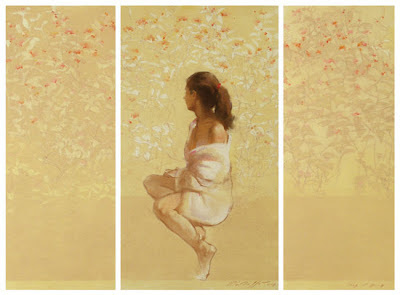 It has been showcased in the March and July of 2001, and March 2004 issues of the Pastel Journal, and in The International Pastel Magazine in July 2002; and the Pastel Highlights American Artist’s Collector's Edition in 1997. 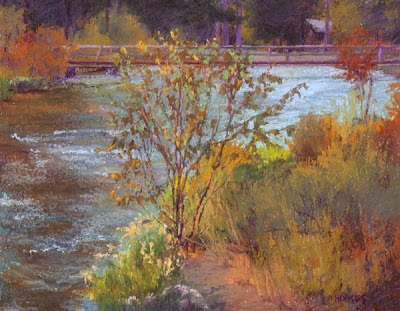 Now based in central Oregon, Norma Holmes brings the beauty of the high desert to life with her landscapes and representations of country living. 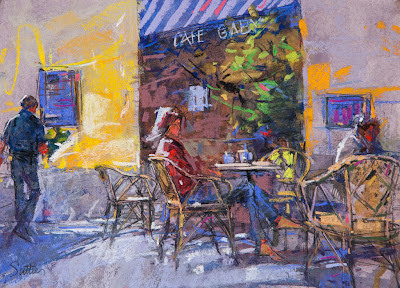 She is a signature member of the Northwest Pastel Society. Norma Holmes gallery representation is with Mockingbird Gallery in Bend, Oregon. Gallery: Norma Holmes Original Fine Art ; Recent Work. Image View: Gallery thumbnails enlarge in a viewer or in a slideshow, and may be saved. There is no information on dimension. 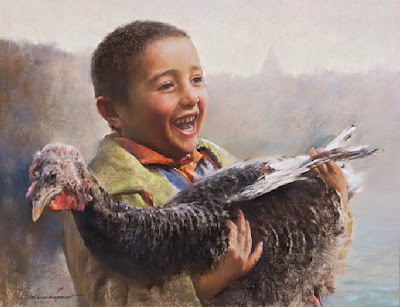 The pastel paintings of Javad Soleimanpour are among the most exquisite and acomplished you will ever see. He has been absent from the web for some time, but now the Seven Sanat Galerisi in Istanbul is displaying some of his work. To see the pastels, click on the link , then click on "galeri" on the top left of the page. This will open a series of galleries, all displayed as vertical panels on the page. Javad's collection is clearly named (on the extreme left side when I looked). Click on the panel for an Adobe Flash slide show. Javad Solimanpour was born in 1965, Tebriz. His first exhibition was in 1978 at a time when he was working on reproductions of the famous paintings in Saadabat Palace Museum. 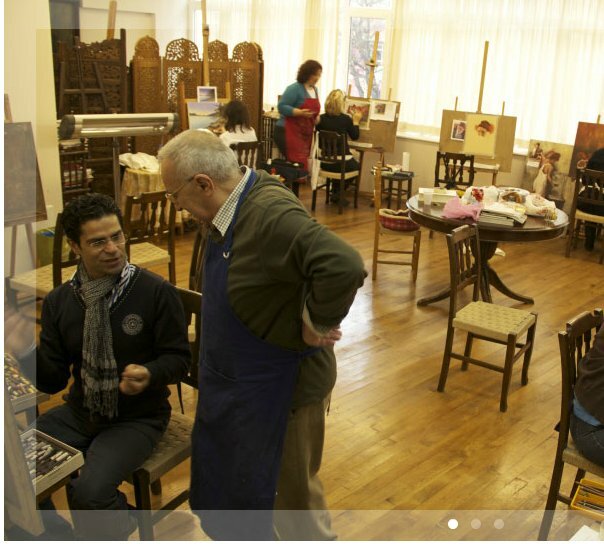 Since 1998 the Seven Art Gallery organizes his personal exhibitions in İstanbul, where Soleimanpour continues both painting and teaching at the same time. Bio: M. Katherine Hurley is from a small town called Gates Mills in Midwest Ohio, an area famed for its rolling hill and horse farms. Katherine received a BFA in 1974 at The College of Mt. St. Joseph in Cincinnati, Ohio. She continued her studies at The Art Academy of Cincinnati and worked with renowned colorist and landscape painter, Wolf Kahn. For over 30 years, she has been a working artist in Cincinnati, Ohio. M. Katherine has exhibited in Europe and is represented in several major galleries in Ohio, Massachusetts and Tennessee. Her work is in numerous private and corporate collections throughout the United States. Hurley is a Signature member of the Pastel Society of America. The artist has been exhibiting since 1978, and in 2005 Katherine was accorded a solo exhibit of her pastels at The Butler Institute of American Art. 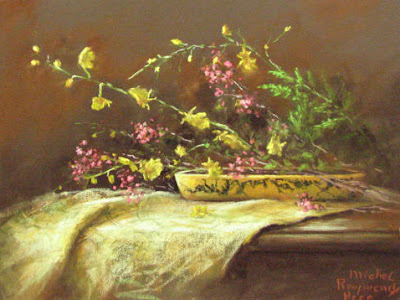 Her work has been featured in The Pastel Journal and in The Artist’s Magazine (Jan./Feb. 2008 and June 2008). Hurley also enjoys teaching, and giving workshops to young art students. Style: Representational. According to art critic Daniel Brown, "Hurley’s work is the search for essences, not likenesses…and symbolically represents nature/ life, growth and beauty. The synchronicity of styles – between her own art and that of the American Luminists and the Song painters of the Northern and Southern dynasties- brings her to the forefront, in my opinion, of America’s contemporary landscape artists." Navigation: All links remain available on side at all times. Image View: Thumbnails open in a popup window; all are labelled with medium and, dimension, and may be saved. Together is 14x21 ins. 2016 x 1496 and a generous 3.14 MB. Bio: Donna Yeager was born in Kansas City, Missouri. She has pursued her art studies through various avenues of learning. Her work has appeared in the Pastel Journal and the Artist Magazine as well as being featured on greeting cards for various national and international card companies. Donna Yeager is a member of the Mid-America Pastel Society. Her work has been exhibited across the US as well as internationally and has wons numerous awards in juried pastel society shows. Navigation: All links remain available on side at all times. This is an odd website in that there exists a parallel universe on another website, to wit http://donnayeager.com/ but clicking on this brings you through the looking glass into the primary site. However, if you Google "Donna Yeager", you can get into http://donnayeager.com/ via a page other than the home page, for example, http://donnayeager.com/About.html - just don’t click on “Home” while visiting or you are back on the other site, whose URL I have listed since it seems inevitable that you will wind up there. Image View: Thumbnails open in new page; no information is provided on medium (presumably all are pastel) or dimension, although if you download an enlargement the size may be included in the file name. Many of the images have an intrusive copyright watermark. 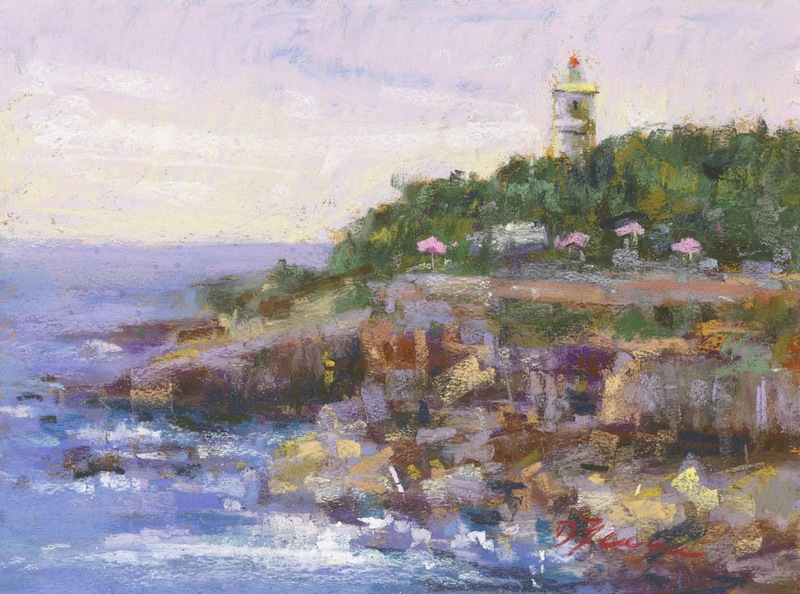 Cascais lighthouse is 20x28 ins. 2016 x 1496 and a generous 3.14 MB. Bio: Jackie Simmonds is known to many artists, especially the self-taught variety (like me!) through her numerous books and articles on art; (her Workshop book may be out of print, but it is worth seeking out – I know, because I have it.) However, her writing is based on a thorough understanding of the craft, and her own development as an artist. Her determination to paint led Jackie back to art school after a 10-year hiatus during which she ran her own employment agency in central London. She returned to a one-year, full-time foundation course, followed by three more years in illustration. She achieved early success with large floral still life paintings that were made into very successful prints. When still life moved out into the garden, inevitably the garden itself became her subject. (She has on occasion opened the garden to the public). From her London home Jackie has visited India, Morocco, Italy and France, travelling and painting. Jackie’s work has won some prestigious awards, and she has shown her work in some of Britain's leading art institutions, including The Pastel Society and The Society of British Artists. She has been a signature member of the Pastel Sociery of America. Her work is in public collections is England and the Channel Islands, and of course in numerous private collections. 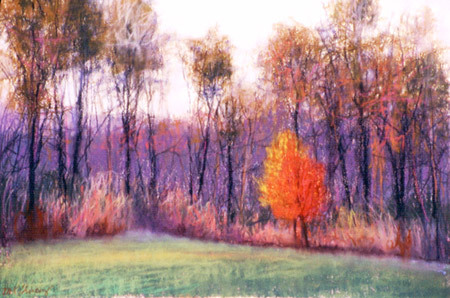 Jackie’s work was featured in the Pastel Journal, September 2004. Publications: Jackie Simmonds Paintings and Sketches; Blurb, 2012. Pastel Workshop, Harper Collins 1994. Pastel Workbook, David and Charles, 1999, 2007. Gardens in Pastel, Harper Collins “Learn to Paint “ series. Navigation: All links remain available at all times except from the Books and Videos page. Gallery: Around the World; Figures; 2003 exhibition; Beach scenes; 2004 New Works; StillLife; Abstract and Semi-Abstract. Image View: Thumbnails are magnified in viewer. Information on medium is generally given, but not on dimension. Demo: Not quite, but there is useful a Pastels Troubleshooter page. See also Jackie's blog. Blog: For some reason this blog is not visible on Jackie's website, which is quite astonishing as she seems to focus most of her energy here. This is a really useful blog, written by an experienced artist and communicator. Bookmark it, treasure it, follow it, and revisit it regularly. Bio: Mary Ann Pals graduated with a degree in Humanities (minor in Visual Arts) from Northwestern College, Orange City, Indiana in 1977. Subsequently she studied with numerous artists including Larry Blovits, Ron Monsma, Sally Strand, Alan Flattmann and Richard McDaniel, Ann Heywood, Michael Chesley Johnson among others! 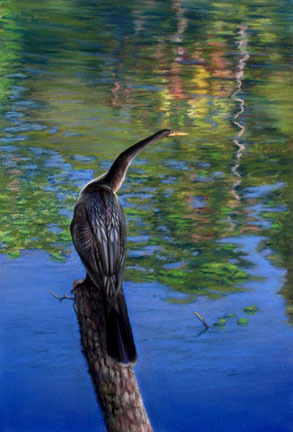 Mary Ann is a member of a number of painting groups, including the International Guild of Realism, the Great Lakes Pastel Society, the Northern Indiana Pastel Society, and the Pastel Society of America. She teaches beginning and intermediate drawing to children and adults, and pastel painting too, at Chesterton Art Center, Chesterton, Indiana. She is represented by the Cowley Fine Art Gallery, South Haven, Michigan, and by the rTrail Collective Edge, Valparaiso, Indiana. Gallery: Charcoal Gallery; Landscapes; Florals and Still Lifes; Faces – People. Birds, Animals. Bio: Bill Suttles graduated from the American Academy of Art in Chicago in 1949. Exposure to the great Impressionist Collection at Chicago’s Art Institute while at school was formative and influential. His training provided a traditional academic education which he always appreciated as a foundation and sought to move beyond, as all artists must, who hope to find a way to say something unique, important to them and possibly to others. He also studied with Wolf Kahn, Irwin Greenberg, and Coralie Tweed. 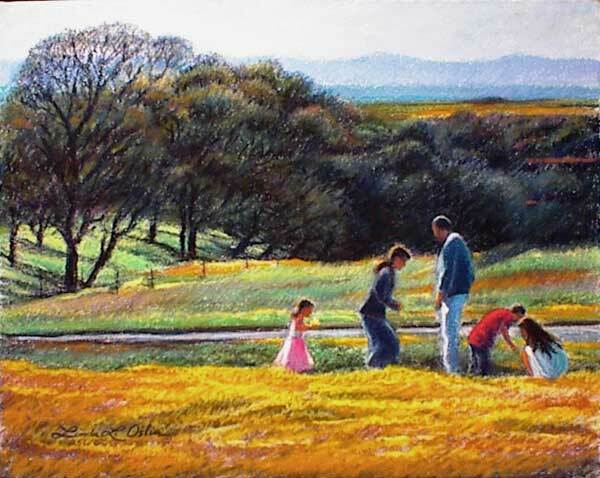 An artist for over 30 years, Bill’s painterly landscapes and figurative works in oil and pastel have been appearing in galleries around the Southeast for two decades. A career in illustration, with commissions from publishers and national corporations such as Coca-Cola, Delta Air Lines and Lockheed evolved into a full time, happy commitment to his own work. Hs work was featured in the Pastel Journal, in 1999 and again in 2001. He is represented in many collections across the U.S. and Europe, including those of the U.S. Consulate in Beijing, China. Bill has maintained studios in Atlanta and recently in the Appalachian foothills of North Georgia. He and wife Pat, also an artist, live on a mountaintop overlooking the small college town of Young Harris, with an art studio in a picturesque old barn just steps from their chalet. Bill is a member of the Blue Ridge Mountains Arts Association, The Southern Appalachian Artist Guild, and The Southeastern Pastel Society. Medium: Pastel, gouache, oil, acrylic. If working on Strathmore 400 (a drawing paper) or Reeve's BFK (a printing paper), he applies gesso thinned to the consistency of coffee cream to both sides and an additional coat to the front side. If using Wallis (a sanded paper), he does not apply gesso. He begins each new work with a slide, a line drawing, and a value study as references. Using the line drawing as a guide, he makes a sketch on his paper with a sepia Conte pencil. He then loosely applies fluid gouache with inexpensive hardware brushes. While referring to his value study, he applies strong, uninhibited color. He emphasizes that thinning the paint, rather than adding white or yellow, works best with the pastels. 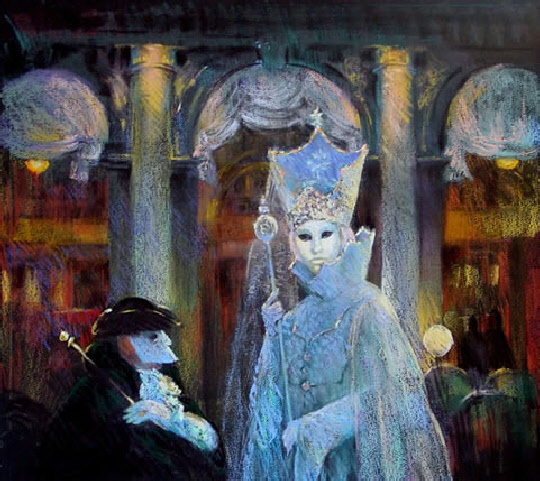 Once the underpainting is completely dry, with every colour in front of him, he lays in large broken applications of color with the side of a broken pastel. Working from the background to the foreground and from dark to light, his movements are loose and his color choices intuitive and experimental. A tree in the foreground starts with Prussian blue branches and lavender foliage. He admits that accidents often lead to better and more exciting creations than do purposeful executions. Moreover, he finds his method of working to be very forgiving. He says that simply brushing away an area with a bristle brush or spraying it with a workable fixative, is all it takes to correct an area. He intentionally brings out the most of every color by placing it beside its complement, using Prussian blue in the shadows of a mountain and red-orange in its foliage. He then softens these bursts of color by going over them with a more neutral tone, but still allowing them to come through. As he approaches the foreground and areas of greater detail, his applications become linear scribbles possessing energy and movement. He then softens their edges where necessary by lightly going over them with a harder pastel (for example, NuPastel over Rembrandt). Style: Representational. Loose and painterly. See method above. Image View: Thumbnails open in new page and are “zoomed”. You can then follow in sequence. Information on size and medium is generally given. Expectation is 11 x 15 ins. 1024 x 737, 1.1 MB. Bio: While her professional life was in the world of business, Linda Oslin remained true to her artistic vision by teaching evening adult art classes. She is now a full-time artist, and her paintings have received awards in national and international juried shows over the past 20 years. She is a juried member of the Catharine Lorillard Wolfe Art Club, a juried signature member of the Pastel Society of the West Coast and the International Association of Pastel Societies, a charter member of the Portrait Society of America, Inc., supporting member of the Chico Art Centers;and a Supporting Member of the Red Bluff Art Gallery. Her paintings have appeared in the Pastel Journal, The Artist's Magazine, Art Calendar Magazine, and the Encyclopedia of Living Artists. Linda Oslin has studied with Daniel E. Greene, John Howard Sanden, Bob Gerbracht, Anita Wolff, Salvatore Casa, and Eddy Martinez Hood. Medium: Pastel, oil, watercolor and acrylic, colored pencil, graphite. Subjects: Still Life; Landscape; Figurative. There is an interesting “tapestry” in the Figurative gallery, called Models, which is worth a look. Gallery: Animals; Automotive; Figurative (pastels); Landscapes (some pastels); Portraits (pastels); Still Life (some pastels). Image View: Galleries open in new page. Thumbnail images are enlarged in a further page; or in a viewer; download is possible. Information is generally provided on medium and dimension but there are exceptions. Wildflowering is 20 x 16 ins, 600 x 478, 47 KB.